Explore the full conference program. 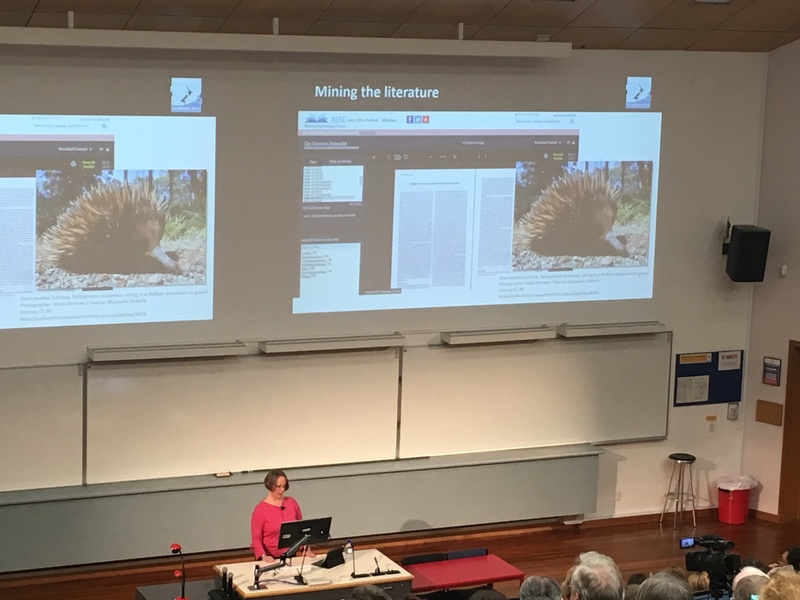 In addition to over seventy sessions featuring multiple speakers in several concurrent tracks, the conference also included many fascinating keynote addresses (including one from Dr. Elycia Wallis, Member representative for BHL Australia). BHL representatives preparing to deliver talks as part of the BHL Symposium. 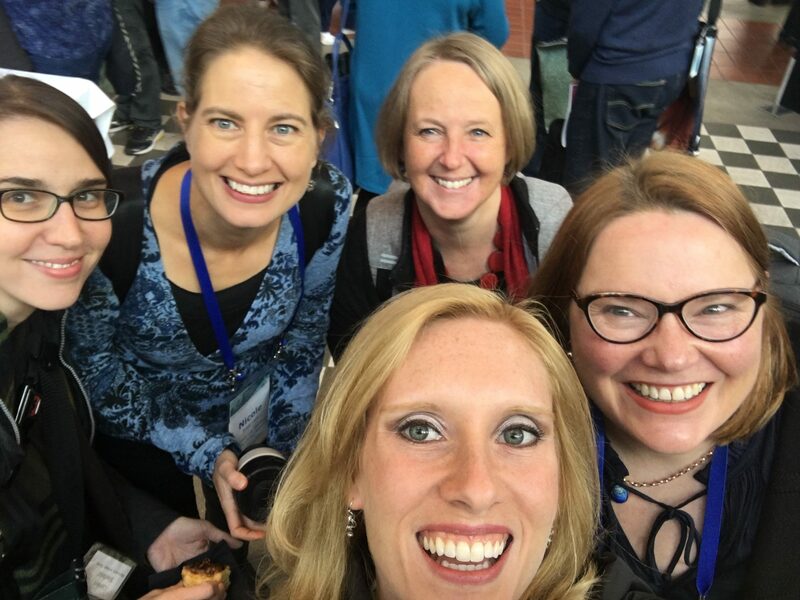 Left to right: Grace Costantino, Carolyn Sheffield, Siobhan Leachman, Nicole Kearney, Constance Rinaldo. BHL hosted a symposium at the conference, “Strategies for Improving Research Efficiency and Delivering Biodiversity Data through Digital Library Collections”, organized by Carolyn Sheffield (BHL Program Manager, Smithsonian Libraries) and moderated by Constance Rinaldo (Librarian of the Ernst Mayr Library, Harvard and Chair of the BHL Executive Committee). The Symposium was attended by about 100 people and was well-received. The session stimulated lively discussion regarding the lack of regulations around assigning DOIs to legacy literature, the ethics of publishers assigning DOIs to versions of out-of-copyright publications locked behind paywalls, and the need for museums to release collections-related data and images openly so that they may be reused for citizen science or on such platforms as Wikipedia (a point eloquently emphasized by Siobhan Leachman as part of a memorable Q&A exchange that was heralded and much-discussed throughout the remainder of the conference). 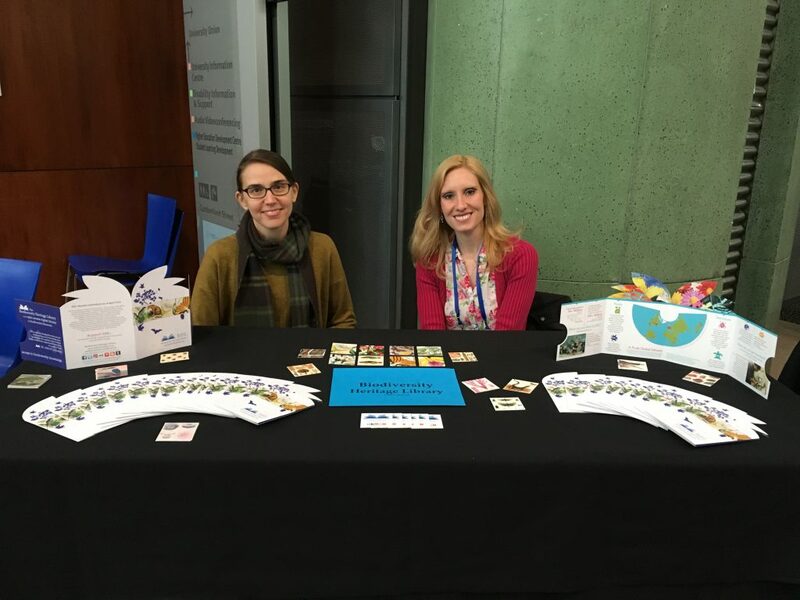 Carolyn Sheffield (left) and Grace Costantino (right) at the BHL table. As a conference partner, BHL hosted a table during the event, which provided a valuable opportunity for representatives to talk with attendees. 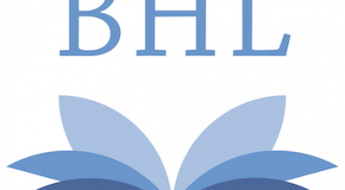 While most had already heard of BHL, the library was still new to some. The BHL brochure and cards were also very popular, with all supplies of each (including over 250 cards) being distributed by the end of the conference. Rinaldo also presented a poster, “Museum, Library and Archives Partnership: Leveraging Digitized Data from Historical Sources”, with co-authors Linda S. Ford (Museum of Comparative Zoology, Harvard) and Joseph deVeer (Ernst Mayr Library, MCZ, Harvard) discussing projects to digitize specimen ledger pages/cards and field books and link them to relevant specimen records in order to enhance discoverability of hidden data and promote cross-discipline research with interrelated historical resources. In particular, the poster highlighted work to digitize ornithologist William Brewster’s notebooks and correspondence, make these available via BHL, and ultimately cross-link the data with the related specimen records. You can see the poster via Dropbox. 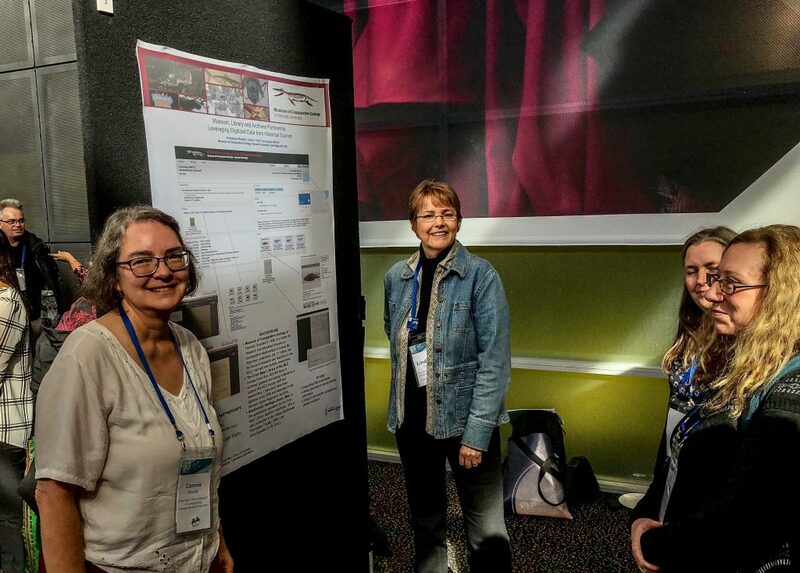 Constance Rinaldo (left) with Linda S. Ford (right) presenting their poster: “Museum, Library and Archives Partnership: Leveraging Digitized Data from Historical Sources”. Photo credit: Jeremiah Trimble. 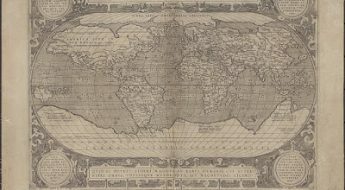 The conference also enabled representatives to learn more about BHL’s impact on research. Many attendees shared examples of how BHL has empowered their own research, with several agreeing to share their experience as part of the BHL User series (so be sure to follow the series to learn more!). 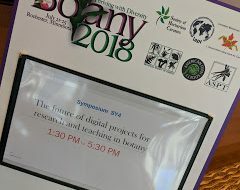 Several attendees were also inspired to explore ways that they could contribute to BHL, such as by uploading field notes from their institution, working with the API to add literature links to collections databases, or encouraging their institutions to join BHL. BHL representatives had a chance to enjoy New Zealand’s amazing landscapes, culture, and wildlife through a variety of excursions. 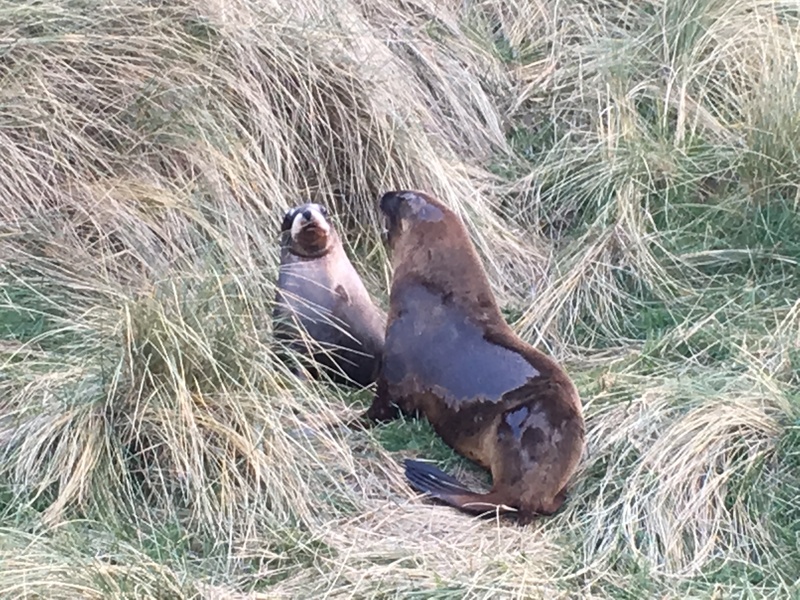 Costantino enjoyed a tour of the Otago Peninsula, where she saw New Zealand sea lions (Phocarctos hookeri), believed to be the world’s rarest sea lion, and yellow-eyed penguins (Megadyptes antipodes), an endangered species endemic to New Zealand. 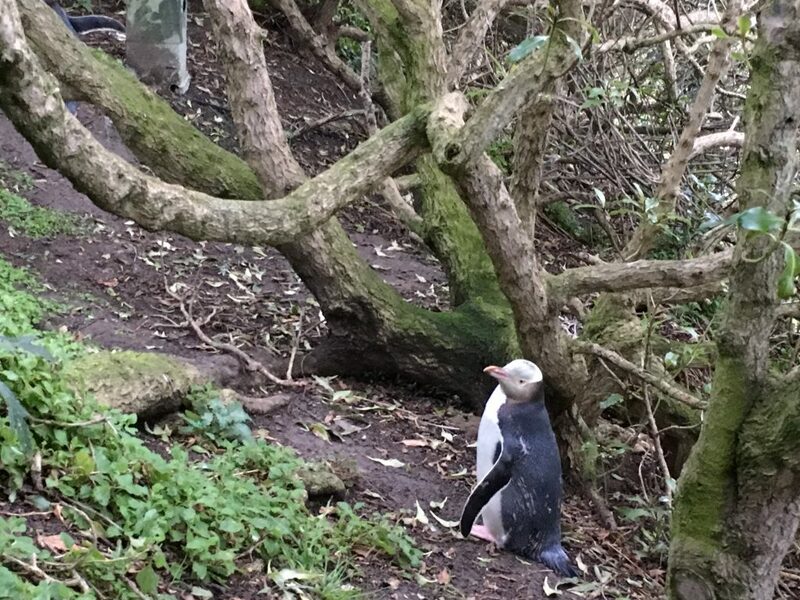 Several BHL representatives also enjoyed a visit to the Orokonui Ecosanctuary, which is home to a wide variety of New Zealand flora and fauna, including kiwis, jewelled geckos, fungi like stinkhorns, New Zealand pigeons (kererūs), kākās, tuataras, and takahēs. 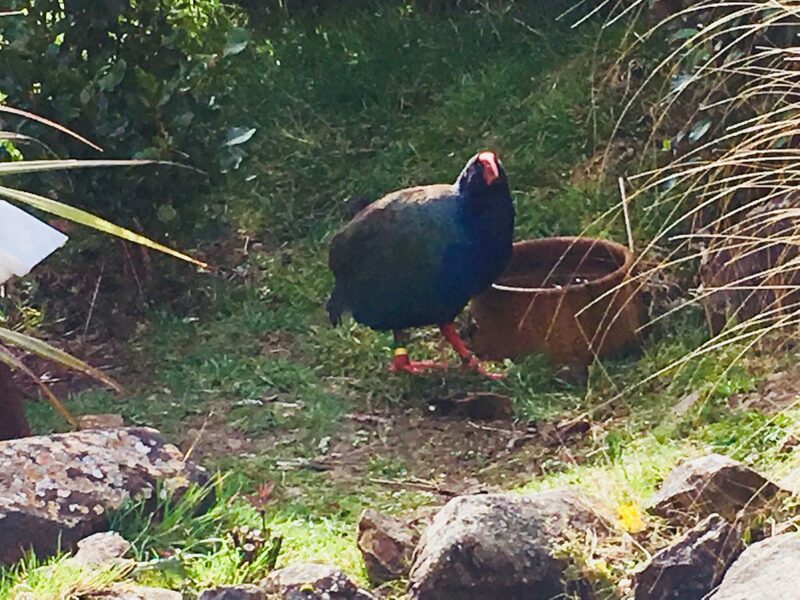 Takahē (Porphyrio hochstetteri) observed at the Orokonui Ecosanctuary. Photo credit: Constance Rinaldo. 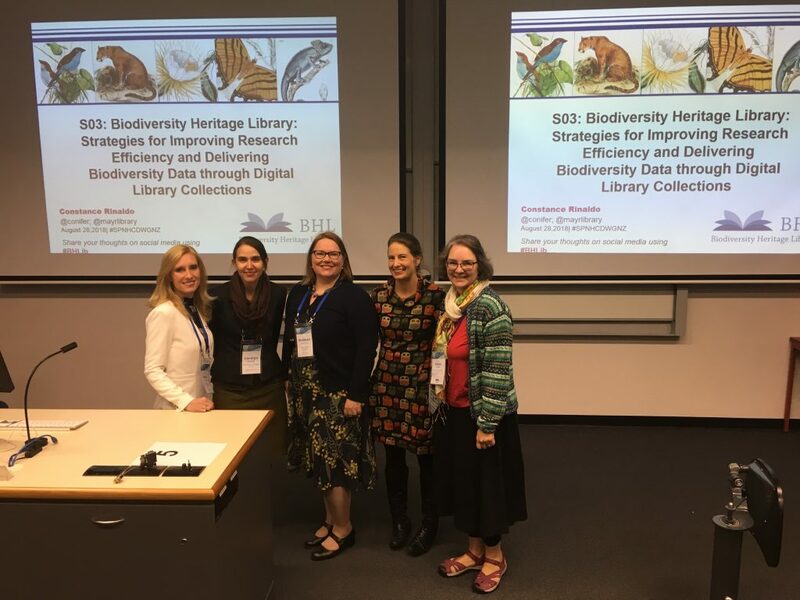 Biodiversity Information Standards, also known as the Taxonomic Databases Working Group, is a not-for-profit scientific and educational association that is affiliated with the International Union of Biological Sciences. TDWG was formed to establish international collaboration among biological database projects. TDWG promoted the wider and more effective dissemination of information about the Earth’s heritage of biological organisms for the benefit of the world at large. Biodiversity Information Standards (TDWG) now focus on the development of standards for the exchange of biological/biodiversity data. Post with contributions from Carolyn Sheffield, Constance Rinaldo, Siobhan Leachman, and Nicole Kearney.